Kyoto Jazz Massive is a musical project specialising in broken beat and electronic styles, consisting of the two brothers Okino Shuya (??-???) and Okino Yoshihiro (??-???). Although the brothers have been DJ's since the late 1980's, they have been remixing and composing as far back as the early 1990's. Since they formed Kyoto Jazz Massive as a DJ unit in the beginning of 90's, they have built a Japanese Jazz Crossover Music scene in Japan and also succesfully built a following overseas. 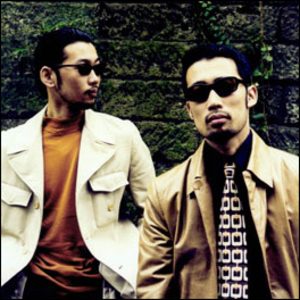 In 1994 they released their first production; a compilation CD entitled "Kyoto Jazz Massive V.A". After that, they contracted with Compost Records in Germany in 2000 and released their first single "Eclipse /Silent Messenger" from that label. After releasing it, this track won first place on the BBC Radio One Chart and was evaluated highly worldwide. In the same year, they released their second single "Substream" successively. In 2002, they finally released their first album "Spirit Of The Sun" which was received to widespread global acclaim. As well as their own works and compositions, they have also released a steady flow of remixes which have helped solidify their reputation as highly sought after producers. As DJ's, they have been playing regularly not only in Japan but all over the world including England, Germany, Italy, France, America and so on. Their unique sound and live performances continue to amaze and attract new fans from people all over the world.